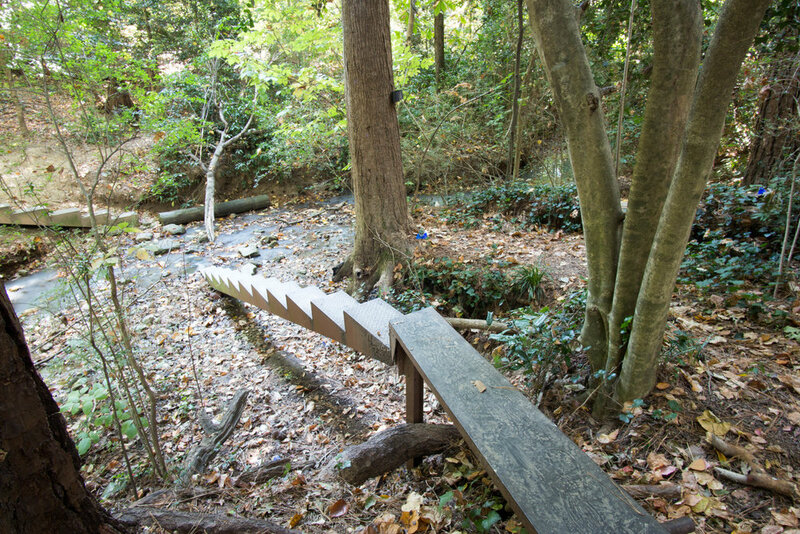 This land art sculpture by George Trakas is located in Emory University's Baker Woodland. 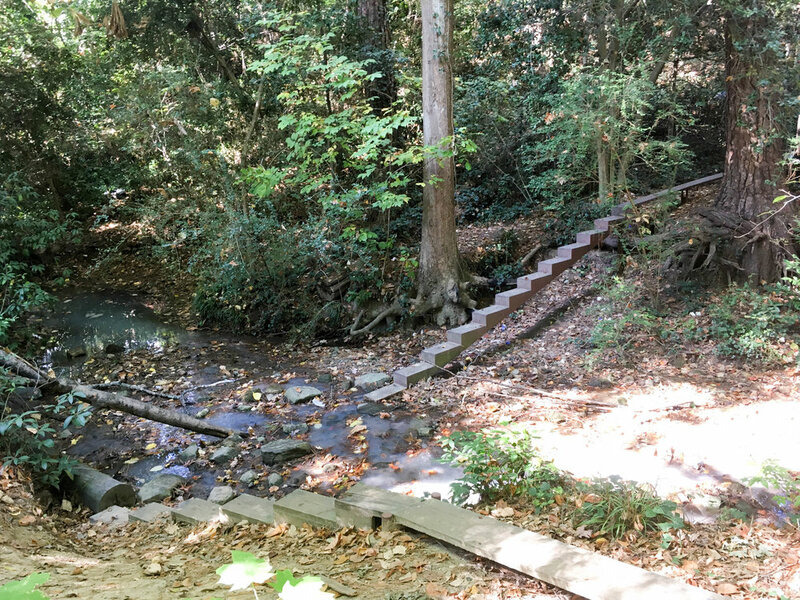 You can walk on the sculpture from the Mizell Drive bridge down to Antoinette Candler Creek. It was installed in 1979. To me, this piece is meaningful because it's unexpected. It makes you think about a place in a new way and allows access to an otherwise inaccessible place. It serves as a reminder to pay attention to the little places and that you might not realize what's right next to your daily walk to class or commute. It's also surprising. I don't think many people know about or expect to see land art in metro Atlanta. This video by Emory University is a conversation between George Trakas and Rosemary Magee, Vice President and Secretary of Emory University. It was filmed in 2011.